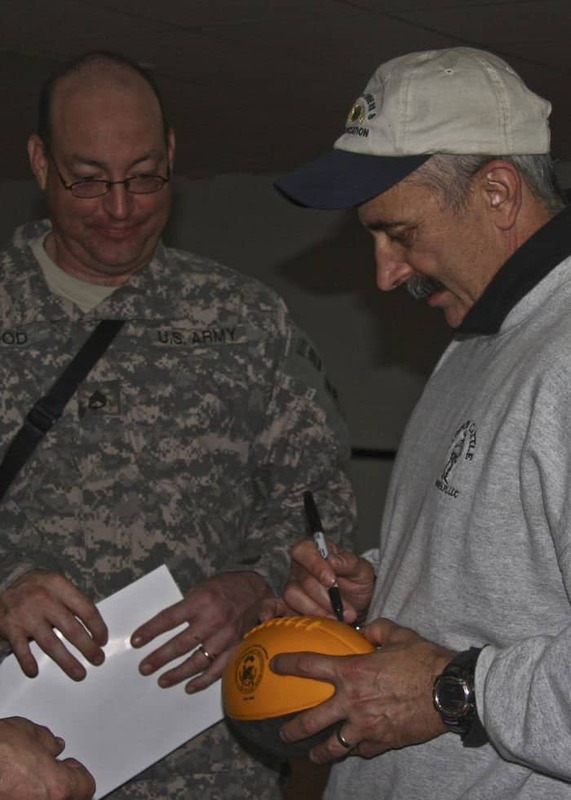 CAMP LIBERTY, Iraq – Country music singer Aaron Tippin autographs Staff Sgt. 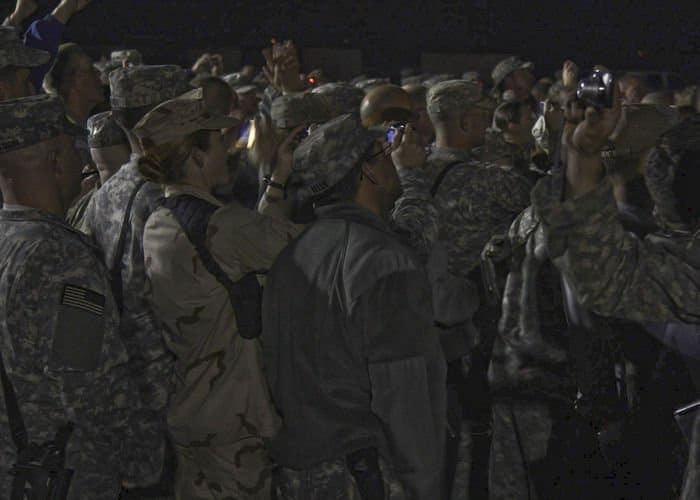 Michael Hood’s football in the 4th Infantry Division and Multi-National Division – Baghdad headquarters after Tippin performed a Thanksgiving Day concert. Hood is a Belzoni, Miss., native, and serves as senior cook with Headquarters Support Company, Division Special Troops Battalion, 4th Inf. Div. Tippin has been entertaining and supporting troops overseas since 1990. CAMP LIBERTY, Iraq – Multi-National Division – Baghdad Soldiers, along with other Soldiers, Sailors, Airmen, Marines and civilians gather together in front of the headquarters of 4th Infantry Division and MND-B to rock out with country music singer Aaron Tippin during a Thanksgiving Day concert. Tippin has been entertaining and supporting troops overseas since 1990. 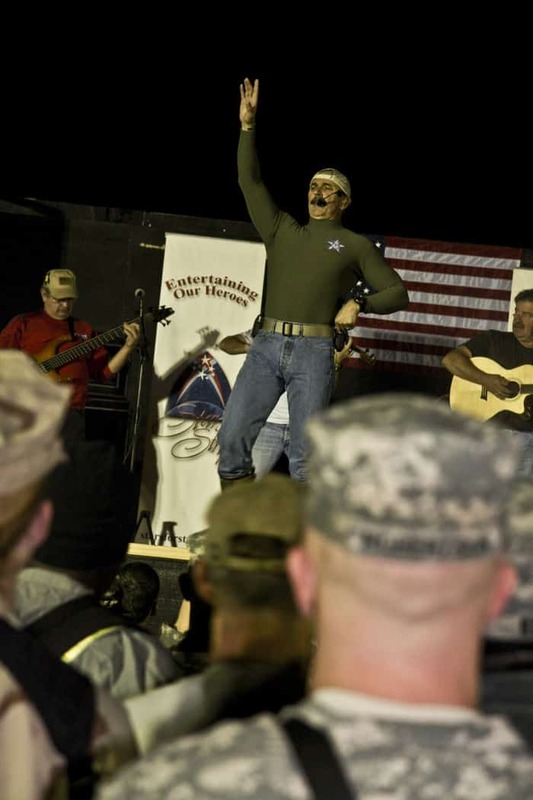 CAMP LIBERTY, Iraq – Country music singer Aaron Tippin entertains Multi-National Division – Baghdad Soldiers, along with other Soldiers, Sailors, Airmen, Marines and civilians in front of 4th Infantry Division and Multi-National Division – Baghdad headquarters during a Thanksgiving Day concert. Tippin has been entertaining and supporting troops overseas since 1990. CAMP LIBERTY, Iraq – Multi-National Division – Baghdad Soldiers, along with other Soldiers, Sailors, Airmen and Marines, gather together in front of 4th Infantry Division, Multi-National Division – Baghdad headquarters and rock out with country music singer Aaron Tippin during a Thanksgiving Day concert. Tippin has been entertaining and supporting troops overseas since 1990. 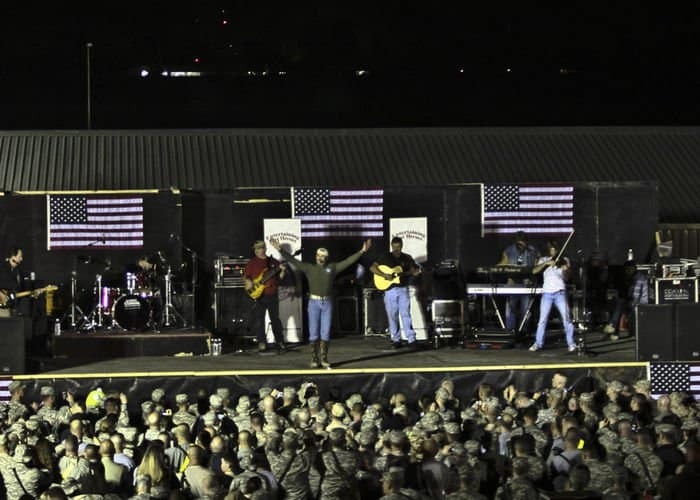 Soldiers, Sailors, Airmen and Marines, rock with Aaron Tippin during a Thanksgiving Day concert. CAMP LIBERTY, Iraq – Multi-National Division – Baghdad Soldiers, along with other Soldiers, Sailors, Airmen, Marines and civilians, gather together in front of 4th Infantry Division and Multi-National Division – Baghdad headquarters and rock out with country music singer Aaron Tippin during a Thanksgiving Day concert. Tippin has been entertaining and supporting troops overseas since 1990. 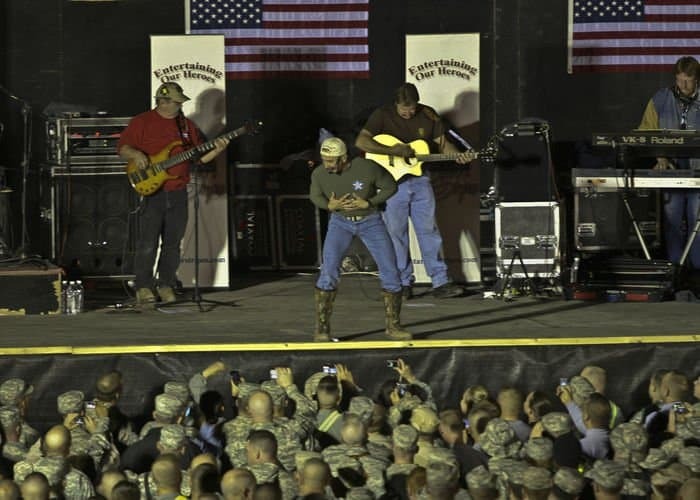 Country music singer Aaron Tippin sings with MultiNational Division – Baghdad Soldiers, Sailors, Airmen, Marines and civilians.